If you’ve noticed a decline in your hearing ability, it’s important to schedule an appointment with a hearing care provider in your area. If they determine you have hearing loss, hearing aids are a common recommendation of treatment and can help you reconnect with the world around you. But before you begin thinking about hearing aids, let’s talk about what kind of hearing testing you might undergo. 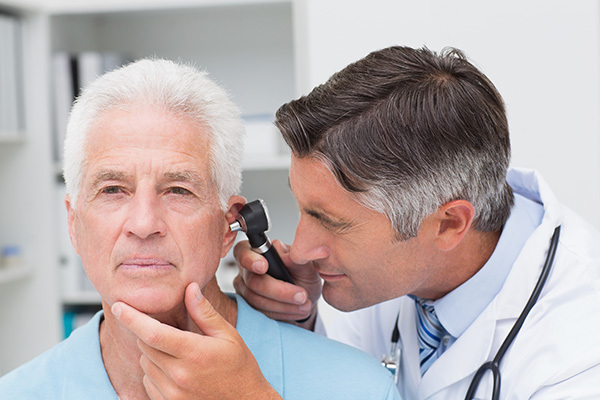 During your appointment with your care provider, they will take you through a hearing test. There are a variety of hearing tests available at your professional’s disposal; however a common one performed is the auditory-brainstem (ABR) test. Different tests are capable of determining the different types of hearing loss. ABR testing, also known as an auditory-evoked potential test, detects sensorineural hearing loss, which is hearing loss resulting from damage to the tiny hair cells in the inner ear. Damage to the tiny ear cells is irreversible and is often caused by age, exposure to loud noises and diseases. According to the American Speech-Language-Hearing Association (ASHA), ABR tests provide information about the function of the inner ear, also known as the cochlea, and the brain pathways required for hearing. During an ABR test, your hearing specialist will place electrodes on your scalp and each earlobe and provide you with a pair of headphones. You will hear clicking noises through the earphones. While the clicking sounds are emitted, the electrodes will monitor your brain’s response to the stimulus and record the results on a graph. According to the Children’s Hospital of Pittsburgh, ABR testing is a helpful tool for determining whether or not a child has hearing loss, since no active response is required. In fact, this test can be conducted while an individual rests quietly or even sleeps. The results of an ABR test, or any other type of hearing test, will better equip your hearing care professional to find the right treatment form for you. Once your hearing provider reviews your results, they will go over the various options with you. While hearing aids are the most common recommendation, there are a number of accessories that can improve your quality of life immensely. If you think you are suffering from hearing loss, contact a hearing care provider in your area today!